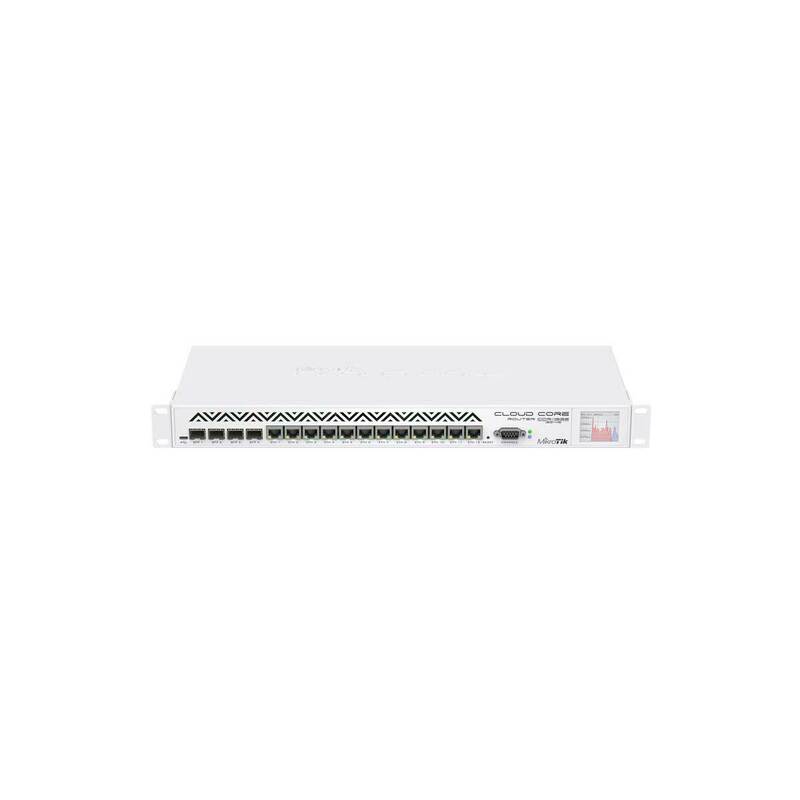 CCR1036-12G-4S-EM is a carrier grade router with a cutting edge 36 core Tilera CPU. Unprecedented power and unbeatable performance. Over 20 times faster than MikroTik’s previous top model, the Cloud Core supports throughput of up to 24 million packets per second, or up to 16 gigabits - full wire speed. The device comes in a 1U rackmount case, has four SFP ports, twelve Gigabit Ethernet ports, serial console and a USB port. A colour touchscreen displays device status, traffic graphs, or provides access to simple configuration options.